Honestly, it doesn't even matter that much unless you plan to run with your side covers off once you do the upgrade. Even then it's as simple as looking at a DB sub from polk in order to know how it will look. 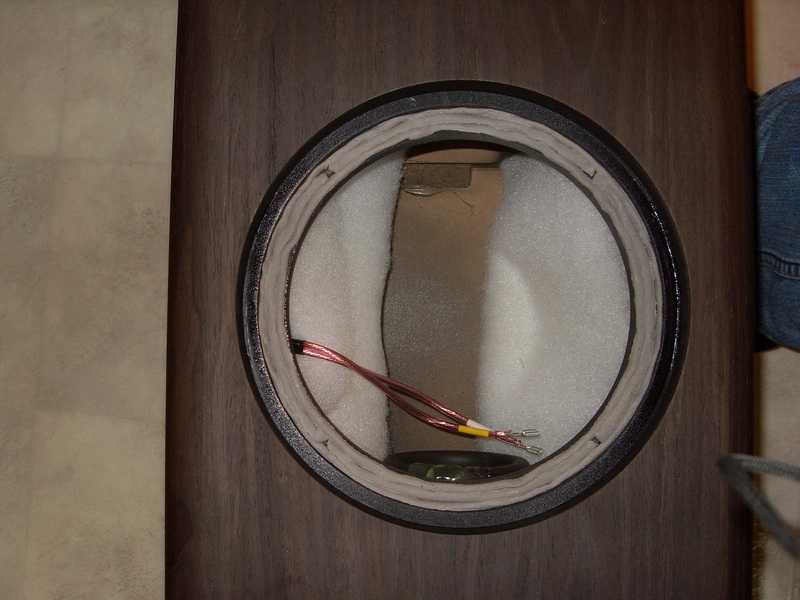 Rotel RSP-1069/Rotel RMB-1095/Rotel-1072/Polk lsI15's W/modded xoverW/DBsubs/Polk LsiC/lsI7's/Klipsch sub-12"the weak link"/DLP Mitsubishi 65"
The fact that it's so hard to get off is the main reason I haven't posted any pictures as has been requested. If I thought pictures would help, I would take the time and effort to take them, but as ToE said, all it would show is a LSi15 with a DB sub in it. I was wondering if anyone had done this mod using a different brand of sub, such as a JL sub? Please don't pick a random driver to install in a LSi15. Well, I've tried everything I can to remove the damn grills, and no luck. Those things are just stuck in there. I ordered two new drivers and 1 replacement grill thinking that I'd ruin at least one during the process, but in retrospect I should have ordered 2 because I have no choice but to just cut the cloth and yank the covers off. I'll report back once I get the new drivers installed. You tried the aforementioned pick? before you cut, have you tried a plastic putty knife? The grill on my PSW350 was very tight, when I first got it, and I actually thought it didn't come off, until I saw some pictures with it off. That's what worked for me, but then I have never tried on a LSi, but they look the same. FWIW, the pegs/ tabs 'should' be at the 4 diagonal points, like 10oc, 2oc, 4oc, 8oc. Again, on mine, but that is logical. Good luck. I tried a pick, I tried the zip ties, I tried a very thin screw driver, I tried a nail, I tried tweezers. I haven't tried a putty knife, because I don't see how it would work. I can barely fit the zip ties in around the edges of the grill, and there's so little of the grill sticking up (maybe 1/8") that I can't get anything to grip it. I don't want to damage the wood cabinet, and since the replacement grills are $12, I don't really have a problem with cutting them if that's what's needed. I've tried using my hands to grip the inside of the grill (stretching the cloth a bit), and while I can get a pretty good hold on the plastic perimeter, I can't pull it out. In other words, it's stuck in there! If after I cut the cloth I found they were glued on, I wouldn't be surprised. I'm sure they're not, but I literally can't make them even budge a little bit. Ok, so the new drivers arrived and I'm working on trying to get them installed. I got one of the grill covers off, but I had to poke a couple small holes in the cloth to do it. Let me tell you, those grills were on there TIGHT. No chance I could have removed it without damaging it. Now, I'm trying to remove the driver. Any tips there? Took the screws out, and it doesn't want to budge. There's nothing to grip onto it in order to pull it up and out, and really nothing to get any leverage on to pry it either. 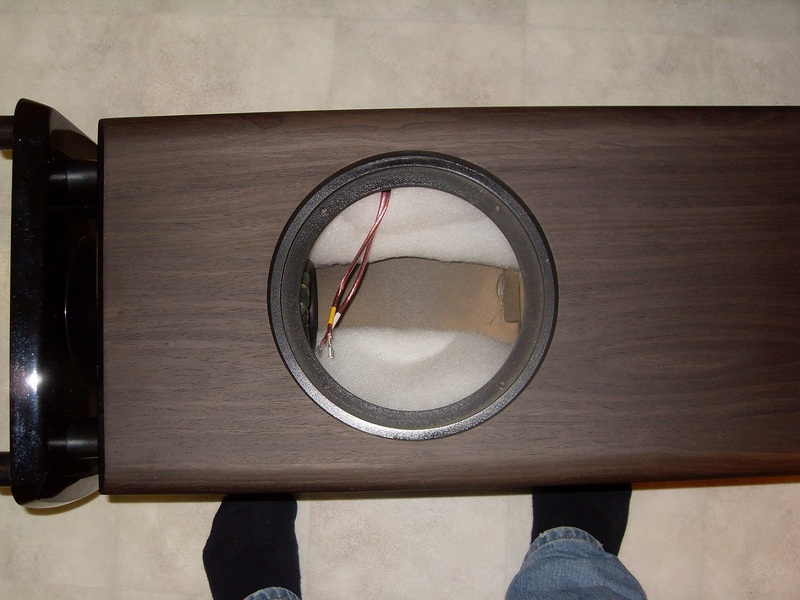 I currently have the speaker lying on the floor, upside down, hoping the weight of the driver will help it fall out. I tried removing the crossover, but there is no play in the wires so I can't even remove it far enough to reach my hand in and push the driver from the back. I currently have the speaker lying on the floor, upside down, hoping the weight of the driver will help it fall out. Give it some time, it will. IIRC, even if you do remove the crossover, you would need some really small arms and hands to reach the back of the driver. I let it sit for about 30 minutes, and it still wasn't even a little loose. So what I did is take the base off, then insert a stick up the port so I could push the driver from the back. Worked great. One speaker down, one to go. While you have the driver removed, dampen the port with rubber mastic, dynamat or similar material. I popped my driver out when I removed the crossover, also from the rear. Are you using the DB840 as the replacement driver? Do you know if the MM840 is an option for this mod or is there something about it that would not allow it to work well. Has anyone else conidered using the MM840? I had already finished, but could pop them back out at some point once I get some dynamat. What type of improvement is it supposed to make? And where should I apply it, on the driver itself or just stuffed in the port? Thanks for the help everyone. So far it sounds excellent, and I expect that it will get even better as they break in. I said dampen the port, not stuff it. You wrap it around the port itself since it's just a cardboard tube. ...I expect that it will get even better as they break in. Sorry to hear you had so much trouble. As xcapri79 said, it must have something to do with older vs. newer model. love2listen: I don't know about the other driver you mentioned. I think the MM840 is meant more for a sealed use. The lsi15's are ported. 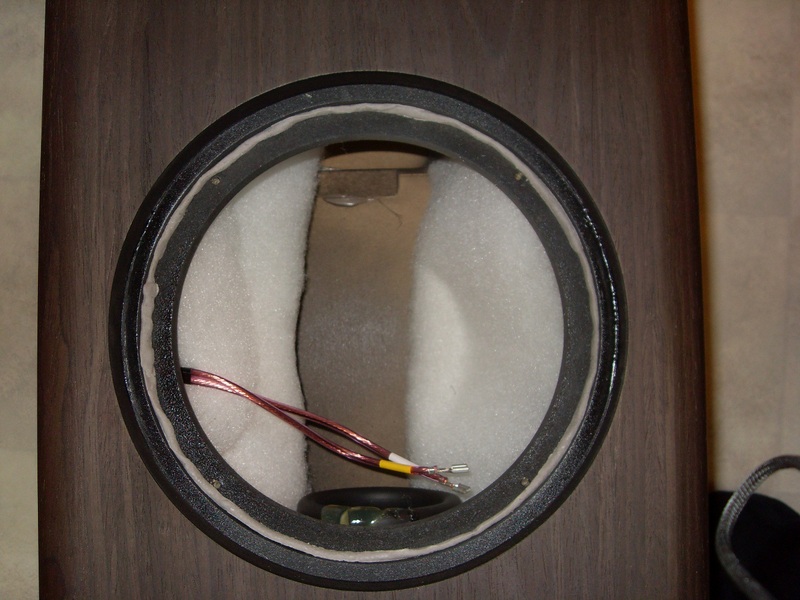 The MM840 is about 5db more efficient than the DB840 (90 vs 85db efficient). I would guess that the MM840 may make the speaker a little to bass heavy.Supposedy the enclosure size and porting in the LSi15 is just about right for the DB840 as well. 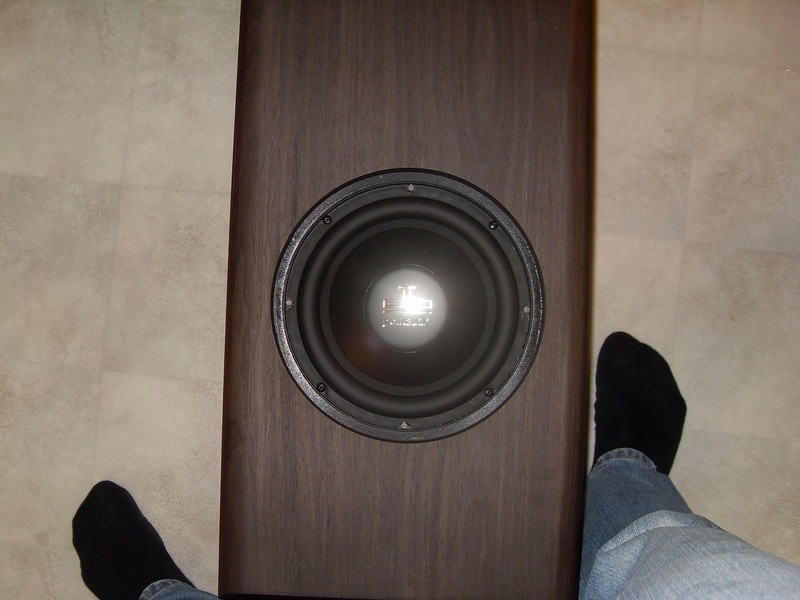 The DB840 was not designed to work as a replacement for the LSi15 woofer, but it seems to be a very good environment for it. (from a size, porting and required efficiency standpoint). Here are a few pics I took when I done this MOD. I bought the chaulking Tape at the hardware store, couldn't find any of the brand names mentioned here, but it seemed to do a good job. I'am happy with the Mod so far. Maybe Crossovers next? going to give this a little time first. Interesting. The driver didn't fit that snugly into my LSi15 opening -- it was smaller in diameter than the previous driver. I'd say there was a good 1/4" space around the edge. I put some mortite under the edge of the driver and it seemed to make a nice air tight seal, but it definitely didn't fit as snugly as yours. Mine were also a nice snug fit. They would not drop in with the rubber seal on there for me. I didn't have to remove anything on my drivers -- there was nothing to remove, as far as I could tell. I had read about people needing to remove the rubber gasket, but mine either didn't need it removed or it didn't have it in the first place. Jason, the xover upgrade shouldn't be taken lightly as it's a serious project....not just a matter of snipping a couple leads and popping on new parts like an SDA xover. This disaster is a point to point LSi15 crossover, before I secureed and neatened things up. Fortunately, it sounds a lot better than it looks. Face This disaster is a point to point LSi15 crossover, before I secureed and neatened things up. Fortunately, it sounds a lot better than it looks.